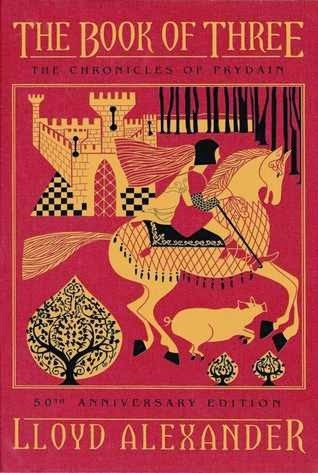 The Book of Three (Chronicles of Prydain, 1) by Lloyd Alexander, September 23, 2014 (originally published: August 1964). 240 pages. Published by Henry Holt & Company. Source: publisher for tour. Taran wanted to be a hero, and looking after a pig wasn't exactly heroic, even though Hen Wen was an oracular pig. But the day that Hen Wen vanished, Taran was led into an enchanting and perilous world. With his band of followers, he confronted the Horned King and his terrible Cauldron-Born. These were the forces of evil, and only Hen Wen knew the secret of keeping the kingdom of Prydain safe from them. But who would find her first? Taran wanted to make a sword; but Coll, charged with the practical side of his education, decided on horseshoes. 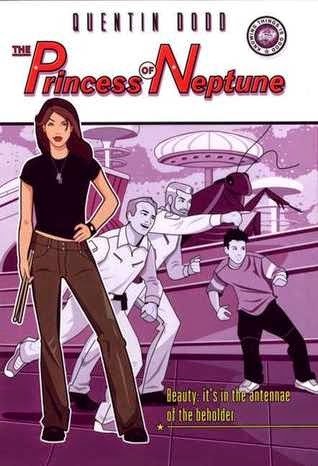 The Princess of Neptune by Quentin Dodd, September 14, 2004. 224 pages. Published by Farrar Straus Giroux. Source: library. Theora Theremin needs a subject for her science project and at the last minute decides to practice the scientific method to determine whether the storied local lake monster, Big Phil, is real or not. While studying the water's surface in the company of her pesky younger brother, Verb, she finds herself witnessing the emergence, not of a prehistoric creature, but of the submarine of the world-famous scientist Dr. ubermind. It is merely the first of many unusual meetings that ensue, as Theora and Verb find themselves whisked away to Burger Buckeroo, where the manager, a giant cockroach from the moon who's also an aspiring journalist, enlists Theora to enter the Cavalcade of Loveliness, an intergalactic beauty pageant being held on Neptune. When they reach this far planet, things grow ever stranger as Theora is enlisted to hunt down the Beast of the Mall and then to help stop her very own science teacher from his diabolical plan to rule the universe's pop music charts. 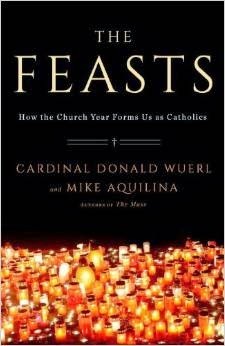 The Feasts: How the Church Year Forms US as Catholics by Cardinal Donald Wuerl and Mike Aquilina, September 16, 2014. 208 pages. Published by Image. Source: Blogging for Books. Catholic faith is festive, and the Catholic faithful count their days by celebrating the mysteries of Jesus’ life. There is a message to be found in the passing of days, weeks, and seasons. Through the feasts, ordinary Christians learn the life of Christ, share it, and come to imitate it. This book continues the work the authors began in their books The Mass and The Church, exploring the meaning and purpose of the most basic and beloved aspects of Catholic life. Each chapter uncovers the biblical origins and development of one of the great feasts or fasts — Advent, Epiphany, the Holy Angels, all the Marian feasts, and even this very day. The calendar can be a catechism for Catholics who know how to live it. If you get out much, you've probably seen at least one church signboard with this message: Seven days without worship make one weak. 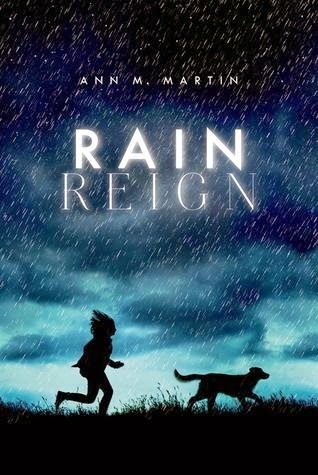 Rain Reign by Ann M. Martin, October 7, 2014. 240 pages. Published by Feiwel & Friends. Source: publisher for review. Rose Howard has OCD, Asperger’s syndrome, and an obsession with homonyms (even her name is a homonym). She gave her dog Rain a name with two homonyms (Reign, Rein), which, according to Rose’s rules of homonyms, is very special. Rain was a lost dog Rose’s father brought home. Rose and Rain are practically inseparable. And they are often home alone, as Rose’s father spends most evenings at a bar, and doesn’t have much patience for his special-needs daughter. Just as a storm hits town, Rain goes missing. Rose’s father shouldn’t have let Rain out. Now Rose has to find her dog, even if it means leaving her routines and safe places to search. Rose will find Rain, but so will Rain’s original owners. Hearts will break and spirits will soar for this powerful story, brilliantly told from Rose’s point of view. I am Rose Howard and my first name has a homonym. Little Author in the Big Woods by Yona Zeldis McDonough, illustrated by Jennifer Themes, September 16, 2014. 176 pages. Published by Henry Holt and CO (BYR). Source: publisher. Many girls in elementary and middle school fall in love with the Little House books by Laura Ingalls Wilder. What they don’t always realize is that Wilder’s books are autobiographical. This narrative biography describes more of the details of the young Laura’s real life as a young pioneer homesteading with her family on many adventurous journeys. This biography, complete with charming illustrations, points out the differences between the fictional series as well as the many similarities. It’s a fascinating story of a much-celebrated writer. In 1839, Caroline Lake Quiner was born in the Milwaukee, Wisconsin, area. 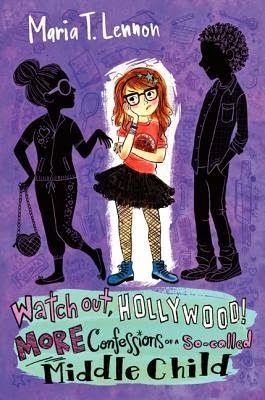 I am super excited to welcome Maria T. Lennon, author of Confessions of a So-Called Middle Child & Watch Out, Hollywood! More Confessions of a So-Called Middle Child, to the blog to discus her fabulous books and which character she thinks could save the world from a robot invasion. All this and more. • In five words tell us about your book Confessions of a So-Called Middle Child. • Why do you think readers will enjoy reading about Charlie and her story? What was the easiest, or funniest, part of Charlie's story for you to write? Readers will enjoy it because what goes on in Charlie’s world goes on every day in elementary school— and Charlie makes the most awful mistakes, way worse than most kids make, which makes them laugh, and hopefully, feel better about themselves. Funniest part? Probably the Marta makeover. I was literally cracking up while I was writing. That was so much fun. • Care to share a two sentence teaser from your favorite chapter in both Confessions of a So-Called Middle Child and Watch Out, Hollywood! 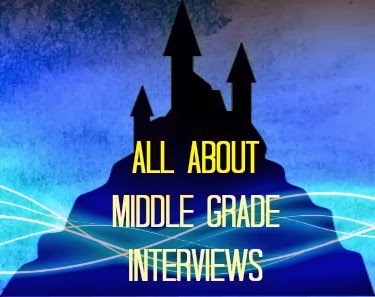 More Confessions of a So-Called Middle Child? A teaser….Chapter 1. The beginning of Charlie’s new life as a celebrity. • Last book you lost sleep to finish and why you couldn't put it down? The House of Scorpion by Nancy Farmer. My children read it in fifth grade and raved about it and the moment I read the first few lines I was hooked, could not move from the sofa until I finished it. • Three non-writing things: one thing you're good at; one thing you're bad at; and one thing you wish you could do? To be perfectly honest, I’m really pretty bad at most things. Uncoordinated, inartistic and physically weak. Okay: I’m a decent cook. I am a horrible artist. I wish I could build houses. Yes. I wish I could build a house. 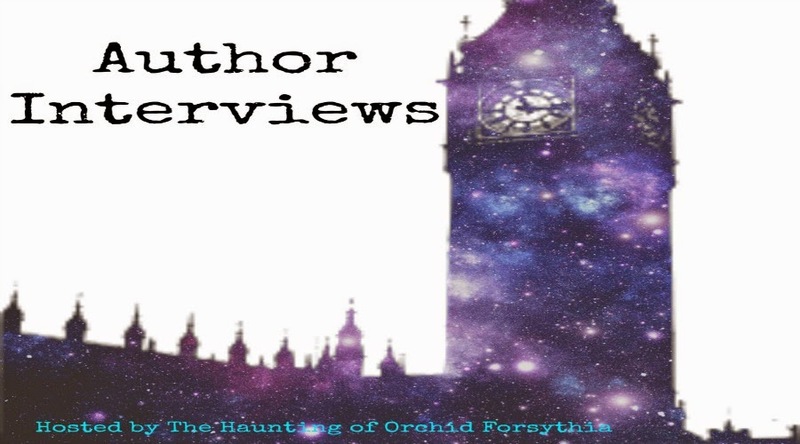 • If you could meet any author, dead or living, and ask them one question about one of their books. Who and what would it be? It would have to be Proust because my mother worships him and I would let her do the talking. She’s far smarter than I am. • The world has fallen to a robot invasion and only one heroine/hero can possibly save the day, who do you choose? Oh God—science fiction is so not my cup of tea. But I would choose Iron Man because he knows how to dismantle and build robots. And he’s got an awesome pad in Malibu And he’s cute and sarcastic. 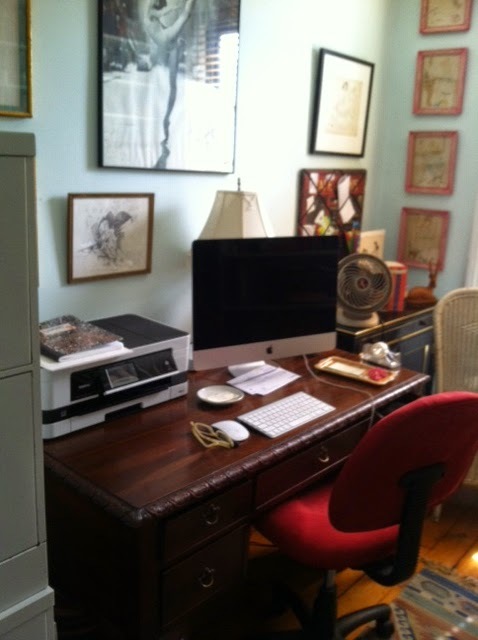 • Care to tell us about your writing cave (include picture if you want)? I have four kids, there is no cave deep enough to hide from them. So, I write out in the open—on the deck, living room, kitchen, library, car, anywhere and everywhere I can have a free moment and I like it that way. Something about behind surrounded by chaos (and kids) that makes me focus. Plus I love hearing their voices in the background. Silence is overrated. • Any upcoming project you can share with us? I just turned in a YA book called RICH KID. It’s about a cocky 17-year-old kid named Asher Wells who’s worth a billion dollars until one day, suddenly, he’s not. His father is indicted and Asher is forced to come down to earth and enter the real world with a whole lot of people who hate his guts and one girl who changes his life. It’s a love story. Confessions of a So-Called Middle Child (Confessions of a So-Called Middle Child, 1) by Maria T. Lennon, August 27, 2013, Published by HarperCollins. It's Mean Girls for tweens in the tradition of Paula Danziger's Cat That Ate My Gymsuit and Judy Blume! Watch out, world: here comes Charlie C. Cooper-computer whiz, reformed bully, and so-called middle child-in this seriously funny debut tween novel from screenwriter Maria T. Lennon. 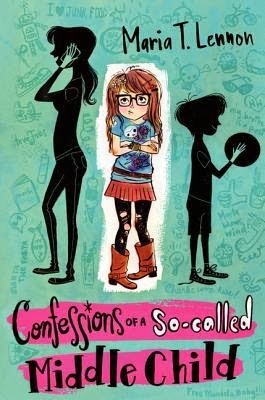 Confessions of a So-Called Middle Child stars the hilariously cheeky reformed bully and tween hacker Charlie Cooper as she tries to ditch her middle-child reputation and make cool friends at her new school in Los Angeles. But being cool isn't as easy as it looks. Charlie has to face down the mean girls and decide between right and wrong once and for all when she learns the terrible truth behind Marta the Farta's bad attitude and loner status. And Charlie has to do it all in outfits meant for the runways! 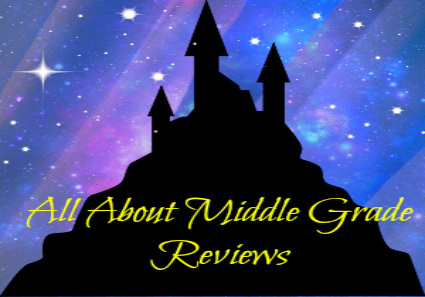 You can see my review of Confessions of a So-Called Middle Child and add it to your Goodreads shelves. Watch Out, Hollywood! More Confessions of a So-Called Middle Child (Confessions of a So-Called Middle Child, 2) by Maria T. Lennon, August 26, 2014. Published by HarperCollins. Charlie's adventures offer a fresh look at middle school, bullying, and mean girls. In Book Two, Charlie navigates sudden celebrity and auditions for a television series, but a little white lie may endanger the one friendship Charlie can truly count on—and her connection to swoon-worthy crush Bobby! Poignant and seriously funny, Charlie's account of her dilemma is one all tweens will relate to. Charlie knows what it feels like to be stuck in the middle, but it's finally her time to shine. After saving her friend Marta in the old Houdini tunnels of Los Angeles, Charlie's become a local hero, gained sudden celebrity, and *MIGHT* just become a TV star! But will Charlie let her newfound fame go to her head? Watch out, Hollywood! You can see my review of Watch Out, Hollywood! More Confessions of a So-Called Middle Child and you can add it to your Goodreads shelves. 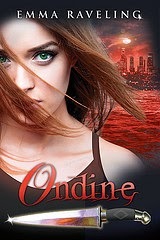 I am excited to welcome Emma Raveling, author of the series Ondine, to the blog to discuss her books and which author she would love to converse with over a cup of tea. I hope y'all will give her a warm welcome. Emma Raveling writes a wide variety of fiction for teens and adults. She is the author of the young adult urban / contemporary fantasy series, the Ondine Quartet, and Lost Blood, the first installment of the forthcoming young adult urban fantasy series, Chancer. She’s also working on the first book in her new Steel Magic series for adults. An avid traveler hopelessly addicted to diet coke and coffee, she currently resides in Honolulu, Hawaii with her husband and German shepherd. Emma, in five words can you tell us about your series, Ondine Quartet? With so many supernatural creatures to choose from, why were you drawn to writing about ondines for your book? Why do you think readers will enjoy reading about Kendra? I’d previously read about ondines in European mythology so I knew what they were. But the real inspiration for the series came from a classical music work by the French composer, Maurice Ravel, which was, in turn, inspired by ondine mythology. While attending a concert, this particular piece of music invoked an image of a young woman rising from the waters. My world of water elementals gradually took shape as I explored who this girl was. Kendra is not an easy character. She’s quick-tempered, impulsive, impatient, and doesn’t respond well to authority. But she’s also clever, resourceful, highly independent, and very passionate. Her defiant rebelliousness, bravery, and fierce loyalty form the core of what makes her a heroine. Over the course of the books, a series of transformative experiences carry Kendra from her teenage years to adulthood. Beneath her tough exterior, she struggles with doubts and fears about who she is and what her future holds. It’s an uncertainty everyone has dealt with at some point in their lives. I think readers relate to Kendra’s journey of coming to terms with her past and present in order to face the future. Which chapter was the hardest to write and why? Could you share with us a two sentence teaser from your favorite chapter? I’m currently working on BREAKER, the final book in the series and it contains several of the most difficult chapters I’ve ever had to write. This is the darkest installment of Kendra’s story and some of the scenes have been emotionally grueling. As in all heroic journeys and stories of war, there is heartbreaking tragedy. Placing beloved characters in these situations is necessary for reaching a hard-fought conclusion to a series - but it’s certainly not easy to carry out. Since my current work-in-progress is the series finale, I don’t want to give away any teasers from my favorite chapter quite yet. So I’ll share two sentences from one of my favorite chapters in Crest, the third (and most recent) book of the series. We were all memories and experiences, a kaleidoscope of colors refracting through water, intersecting lines shifting and changing with each ripple. Swept up in a narrative that had no beginning or end, a story that began far before I was born and would continue long after I was gone. What was the last book you couldn't put down? What made it impossible to put down? Actually, I’m right in the middle of devouring a book - House Immortal by Devon Monk. I’m about halfway through it and it’s very well done, a combination of clever writing, fascinating world building, compelling characters. If you could have tea with any author, dead or living, who would you choose and why? What is the first question you would ask them? You asked your trusted friend and confidant, Max Brod, to destroy all of your written work upon your death. Now that you know he didn’t and instead published your works for the world to read, do you feel betrayed or are you thrilled at how they’ve been received? Emma, thank you so much for stopping by to discuss your books. It was a pleasure to have you on my blog and to share your thoughtful answers with everyone. Ondine (Ondine, 0.5) by Emma Raveling, December 19, 2013. Rebellious and headstrong, sixteen-year-old Kendra Irisavie doesn’t have much respect for authority. An ondine with the powerful gift of Virtue, she uses her tough attitude and Empath magic to navigate through high school and keep others away. Because being an ondine also means keeping secrets. Kendra and her mother are Rogue water elementals in the middle of an ancient war. They hide among humans, their survival constantly threatened by monstrous Aquidae demons. Along with a rigorous training regimen to mold Kendra into a lethal fighter, her mother has instituted four rules to keep her safe. Trust no one. Relationships are weaknesses. Emotional attachments are dangerous. Be responsible only for yourself. But when Kendra witnesses a classmate in trouble, she intervenes and her decision to break the rules comes at a price. Sometimes, humans could be more dangerous than demons. Ondine is a short prequel novella for the young adult urban / paranormal fantasy series, the Ondine Quartet. Don't forget, you can add Ondine by Emma Raveling to your Goodreads shelves. You can also get a copy of Ondine at any of the following places for free: Amazon | Apple iBooks | KOBO | Smashwords | or you could download it free in the following formats: MOBI Vers. | ePUB | or, you could get a signed ebook. Prizes: ebook copies of all available books in the Ondine Quartet (Ondine, Whirl, Billow, Chevalier, Warrior Prince, Crest) and signed swag. 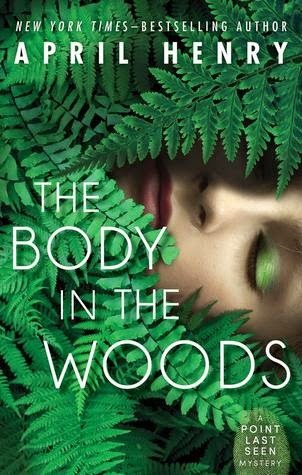 The Body in the Woods (Point Last Seen, 1) by April Henry, June 17, 2014. 263 pages. Published by Henry Holt and Co. (BYR). Source: publisher. In this new series told from multiple perspectives, teen members of a search and rescue team discover a dead body in the woods. Alexis, Nick, and Ruby have very different backgrounds: Alexis has spent her life covering for her mom’s mental illness, Nick’s bravado hides his fear of not being good enough, and Ruby just wants to pursue her eccentric interests in a world that doesn’t understand her. When the three teens join Portland County Sheriff’s Search and Rescue, they are teamed up to search for a autistic man lost in the woods. What they find instead is a dead body. In a friendship that will be forged in danger, fear, and courage, the three team up to find the girl’s killer—before he can strike one of their own. For Alexis Frost, Nick Walker, and Ruby McClure, it all started with a phone call and two texts. 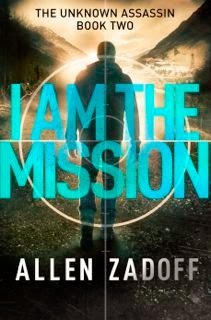 I Am the Mission (Unknown Assassin, 2) by Allen Zadoff, June 17, 2014. 432 pages. Published by Little, Brown Books for Young Readers. Source: publisher. He was the perfect assassin. No name. No past. No remorse. Perfect, that is, until he began to ask questions and challenge his orders. Now The Program is worried that their valuable soldier has become a liability. And so Boy Nobody is given a new mission. A test of sorts. A chance to prove his loyalty. His objective: Take out Eugene Moore, the owner of an extremist military training camp for teenagers. It sounds like a simple task, but a previous operative couldn't do it. He lost the mission and is presumed dead. Now Boy Nobody is confident he can finish the job. Quickly. But when things go awry, Boy Nobody finds himself lost in a mission where nothing is as it seems: not The Program, his allegiances, nor the truth. I stand on the rocks high above a lake. The Book of Kindly Deaths by Eldritch Black, September 16, 2014. 304 pages. Published by Spencer Hill Press. Source: publisher for blog tour. WHAT WOULD YOU DO IF THE MONSTERS IN A BOOK BECAME REAL? When twelve-year-old Eliza Winter finds a secret room in her missing grandfather's sprawling, Gothic house, her safe, sheltered life is blown apart. Inside, below a stained glass window where moonlight shines no matter the time of day, sits The Book of Kindly Deaths. In defiance of her controlling mother, who has always forbidden her to read anything strange or imaginary, Eliza takes the book. As night sets in, Eliza reads one haunting story after another. And the further she journeys inside the book, the more the boundaries between our world and a shadowy land of monsters and forbidden places begin to blur. When the strange, crooked man from the book arrives on the doorstep claiming to be a rare-book collector and demanding entry into the house, Eliza's world is turned upside down. To escape him, she must dive all the way into the spine-tingling world of The Book of Kindly Deaths to save her grandfather--and write an end to the nightmare she's caught inside. On a desk in the room with the stained glass window sat a book. While I ended up really enjoying The Book of Kindly Deaths by Eldritch Black, it took me some time to get into the story. Not that it was boring or anything, it just took some time for the story to get rolling and for me to truly sink my teeth into the story he had created. 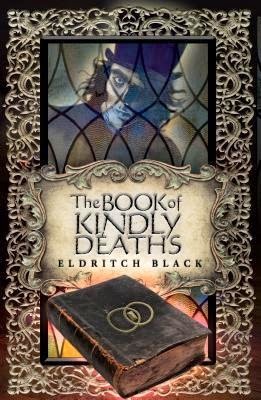 Even though it took my some time to get into The Book of Kindly Deaths this was one thrilling read as Eliza was thrust into the world of Grimwytch and her family's history. At first, when Eliza's and her parents were introduced I couldn't help but wonder why her mother was so controlling in her effort to keep Eliza from anything imaginative, so, as the book unfolded and you learned that she was the daughter of a writer, one who can write the kindly death of one who brushed with those of the Grimwytch. I cannot say more on why I enjoyed the unfolding of this aspect of the story, but it definitely made me more interested in the book and lives of the characters as Eliza sought to understand things. So, while I enjoyed the many aspects of the world in which the characters lived, like, the stories contained within the Book of Kindly Deaths as they were creepy, I thought it was Eldritch Black's writing that really made it interesting. I loved how well he caught the creepy vibe of the whole book and how his writing just pulled me into the book. With the world being interesting in itself, the rest of what made me enjoy this book so much would have to be how Eliza decided to strike out against the rules of her mother and father to see things through to the end. I really did enjoy seeing her realize that she was strong enough to enter and make a difference there. In the end, The Book of Kindly Deaths has many elements that make for an exceptionally good read. Great writing, interesting plot, and a character that grows on you with each page you read. The only thing I found unlikable about this book would have to be the slightly slow beginning to the book. So, while it does take some time for the book to get going and for the character's story to really pull you in, or at least it did for me, I would definitely say that this is one book to keep in mind. Final Verdict: The Book of Kindly Deaths- Wonderfully creepy and imaginative. Be sure to check out the other tour stops for today on The Book of Kindly Deaths blog tour at Platypire Reviews and Tanya's Book Nook. 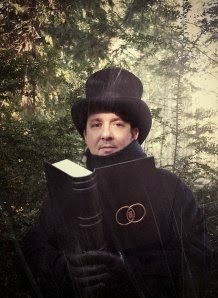 Eldritch Black is a writer of tales of dark fantasy and dread. Originally from London, England, Eldritch has since moved to a small island in the Pacific Northwest of the United States. He now lives in the middle of a forest where he collects shadows, converses with crows, and documents the creatures that crawl from the trees and slither in the undergrowth. When he isn’t writing stories of magical eeriness, Eldritch likes long walks on the beach in the rain at midnight, communing with cats and ghosts and the ghosts of cats, all things autumnal, photographing dreams, and attempting to play the Theremin. Enter for a chance to win a copy of The Book of Kindly Deaths and necklace. 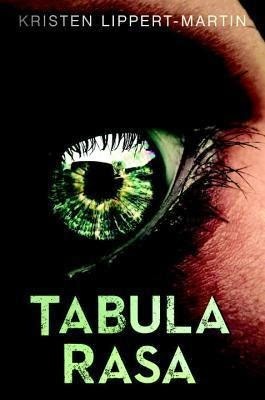 Tabula Rasa by Kristen Lippert-Martin, September 23, 2014. 352 pages. Published by EdgmontUSA. 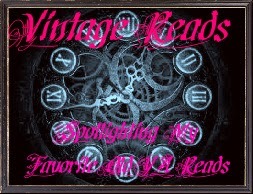 Source: publisher for blog tour. Sixteen-year-old Sarah has a rare chance at a new life. Or so the doctors tell her. She’s been undergoing a cutting-edge procedure that will render her a tabula rasa—a blank slate. Memory by memory her troubled past is being taken away. But when her final surgery is interrupted and a team of elite soldiers invades the isolated hospital under cover of a massive blizzard, her fresh start could be her end. Navigating familiar halls that have become a dangerous maze with the help of a teen computer hacker who's trying to bring the hospital down for his own reasons, Sarah starts to piece together who she is and why someone would want her erased. And she won’t be silenced again. She points to the chair. Guys, I am so excited to welcome Yona Zeldis McDonough to the blog to talk about her biography of Laura Ingalls Wilder! I'm especially excited because not only is her biography, Little Author in the Big Woods, an excellent read I just so happen to be a long-time fan of the Little House on the Prairie books. 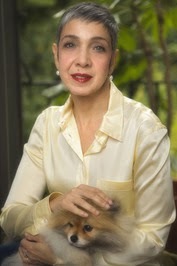 Yona Zeldis McDounough is the author of many books for children, including Sisters in Strength; The Life of Louisa May Alcott; and The Doll with the Yellow Star. Ms. McDonough lives in Brooklyn, New York. 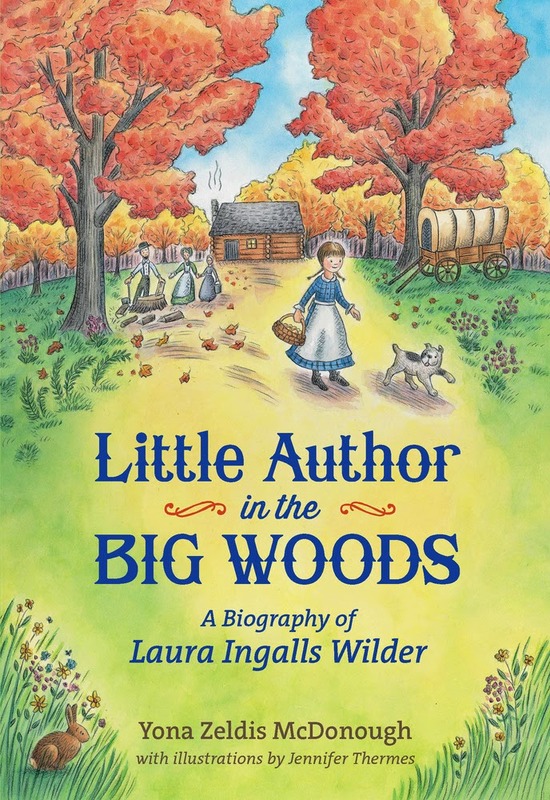 What drew you to wanting to write a biography of Laura Ingalls Wilder and her books for children? I thought that kids would be interested to learn about the amazing life behind the stories, and to discover the parallels between them. I know I was! Going out on a limb, I'm guessing that you've read her books. Could you share with us what you loved about the Little House of the Prairie books; and which was your favorite? I loved the careful, exacting detail that fills these books. When you read the Little House books, you learn how to churn butter, build a cabin, and plant crops—and so much more. There is so much rich description in these stories, and so much texture. All these things really make the time come alive. I’m a big fan of all the books but I think my favorite is Little House in the Big Woods because it establishes the voice and sets the tone for all the others. What do you hope readers will take away after finishing Little Author in the Big Woods? A sense of a different life—harder in some ways, but purposeful, balanced and joyful. There are lessons to be learned here, and an example to be followed. What book and author did ten-year-old you love? What was it about the book and author that made you love them? I loved A Little Princess by Frances Hodgson Burnett. I was so moved by the story of Sara Crewe and how she remained true to herself, even through the most difficult times. I read that book over and over. If you could meet any author, dead or living, and ask them one question about one of their books who and what would it be? 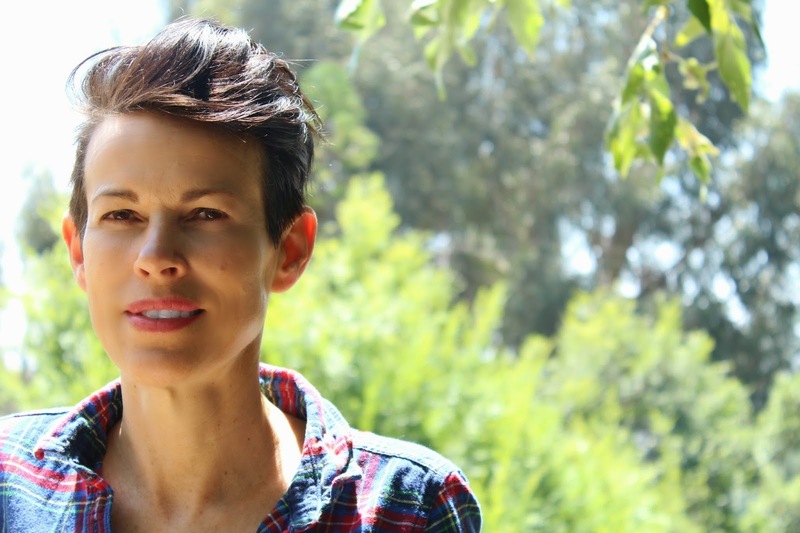 I would want to meet Burnett and ask her about the inspiration for her story; she seems to have so much compassion for Sara and I am curious to know how she created this memorable fictional character. 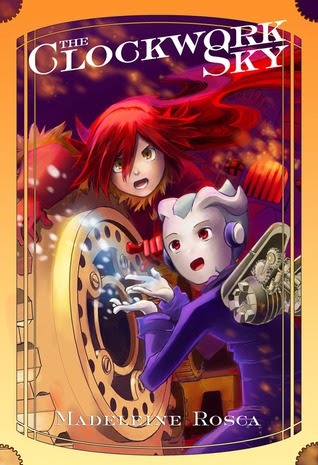 The world has fallen to a robot invasion and only one heroine/hero can possibly save the day, who do you choose? Laura Ingalls Wilder of course! After all her years on the prairie, she’s plucky and courageous enough to deal with robot invasions and plenty more! Care to tell us about your writing cave (include picture if you want)? I work in a small room on the second floor of my house that overlooks the backyard. The people next door have a beautiful magnolia tree and I can see a bit of it from my window; when it blossoms in spring, it is as beautiful as a bride. 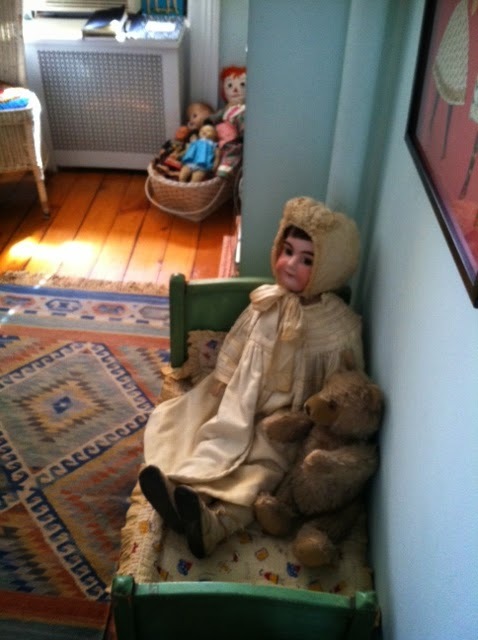 I’ve painted the room a pale sky blue and it is filled with my books, pictures, a wonderful old desk and lots of dolls; they keep me company as a work. Yona, thank you so much for stopping by to discuss Laura Ingalls Wilder, her books, and your wonderful biography of her. Little Author in the Big Woods by Yona Zeldis McDounough, illustrated by Jennifer Thermes, September 16, 2014. Published by Henry Holt and Co. (BYR). Don't forget, you can add Little Author in the Big Woods to your Goodreads shelves. I am very excited to help reveal the cover for Molly Pepper and the Night Train by Courtney King Walker. I cannot wait to see what y'all think of the cover for this one. Courtney King Walker grew up in the San Francisco Bay Area building rocket ships and rafts out of cardboard, hoping to make it the moon or at least Niagara Falls. But a trip across the border to Tijuana was as exciting as it ever got, so she decided writing about adventure was the next best thing. She now lives in the Rocky Mountains with her husband and four children, and still dreams of flying to the moon. Her YA debut, ON THE FRINGE, was published in 2011 by Lands Atlantic Publishing. Molly Pepper and the Night Train by Courtney King Walker, March 13, 2015. Published by Lands Atlantic Publishing. Hidden somewhere in the fog of the San Francisco bay lies Blue Rock Island, home to the bay area’s two best-kept secrets: Bell’s Bluff, the old, abandoned prison on one side of the island, and the Night Train, a mysterious train ride on the other. When twelve-year-old Molly Pepper receives a secret invitation promising a night of magic and adventure aboard the Night Train, she is skeptical. In her experience, most promises prove too good to be true. The fact that she lost her mom is proof enough. Still, Molly gives hope another chance. Together with her loyal friend, Noah Wonderly, they sneak out of the house and follow a string of clues leading to the Night Train. But when the train stops at Bell's Bluff, Molly discovers the real reason she was invited. There, she starts to wonder if hope and magic not only fix broken promises; but make you believe in them again. 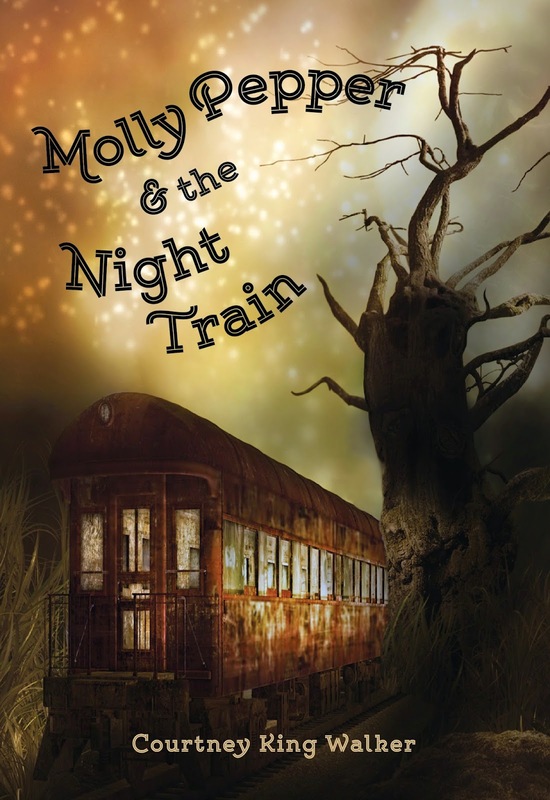 Don't forget, you can add Molly Pepper and the Night Train to your Goodreads shelves now. Check rafflecopter form for rules and details on the giveaway. 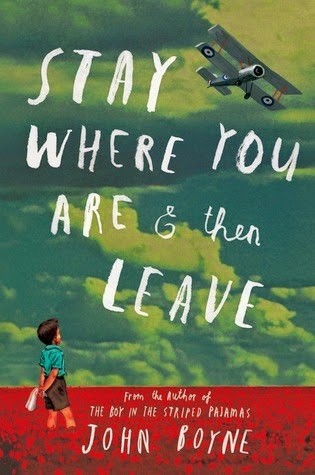 Stay Where You Are & Then Leave by John Boyne, illustrated by Oliver Jeffers, March 25, 2014. 247 pages. Published by Henry Holt and Co. (BYR). Source: publisher. The day the First World War broke out, Alfie Summerfield's father promised he wouldn't go away to fight—but he broke that promise the following day. Four years later, Alfie doesn't know where his father might be, other than that he's away on a special, secret mission. Then, while shining shoes at King's Cross Station, Alfie unexpectedly sees his father's name on a sheaf of papers belonging to a military doctor. Bewildered and confused, Alfie realizes his father is in a hospital close by—a hospital treating soldiers with shell shock. Alfie isn't sure what shell shock is, but he is determined to rescue his father from this strange, unnerving place. . . .
Every night, before he went to sleep, Alfie Summerfield tried to remember how life had been before the war began. Hey guys, today, I am excited to help Curiosity Quills reveal the cover for Amanda Cry's Zhukov's Dogs here on the blog. Let me know what y'all think of this one. Amanda Cyr is a tea-loving freelance journalist, viral content curator, and debut novelist. She studied creative writing at Seattle University, where she developed all sorts of opinions before becoming a member of the Pacific Northwest Writers Association. 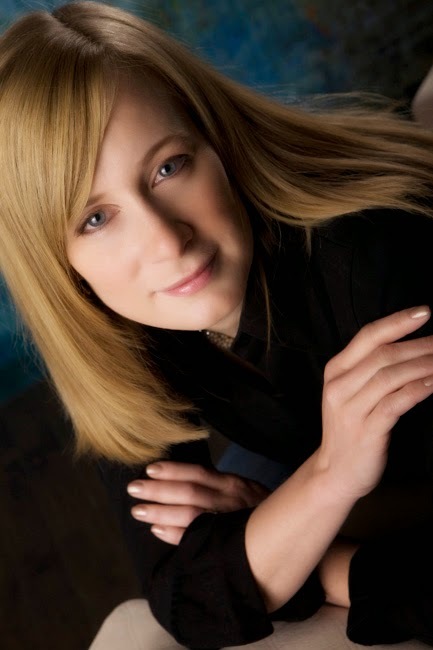 She is currently represented by Kimberley Cameron of the Kimberley Cameron & Associates Literary Agency. Growing up, Amanda moved around a lot. She began writing to make the transitions easier and make up for her lack of friends in middle school. An awesome professor in Medford, Oregon tried to convince her to pursue writing professionally, but Amanda was deadest on a law career. It wasn’t until an unpleasant professor in Seattle, Washington told her she was a terrible writer that Amanda really committed to the idea of getting published, mostly just to spite her professor. When Amanda’s not hunched over a laptop she enjoys sleeping, video games, Netflix binges, and wrestling with her two polar bear dogs. She currently lives in Los Angeles, where she spends her days hissing at the sun and missing Seattle. Her least favorite things include the mispronunciation of her name, screaming children, and California. Zhukov's Dogs by Amanda Cyr, October 27, 2014. Published by Curiosity Quills Press. Lieutenant Colonel Nik Zhukov is just like any other desensitized seventeen-year-old living in the year 2076. At least he likes to think he is when he isn’t busy eliminating threats to national security, breaking up terrorist organizations, and trying not to get blown up. It’s all in a normal day’s work for one of the military’s top dogs, and he’s never disappointed. Never failed. Never lost sight of his dream of making it to the elite force, even as each new job forces him to see just how morally corrupt his leaders are. On the verge of promotion, Nik is dispatched to the underground city beneath the icy Seattle tundra, his final mission handed down directly from The Council. It should have been a simple in-and-out, but the underground is full of dark secrets and he soon finds himself swept into battles, lying to his best friend back east, and growing a bit too close to the rebels he was sent to spy on. Nik realizes too late that he’s broken the number one rule within his ranks; he’s allowed himself to feel normal for the first time in his life. He might be able to turn the job around, become the soldier he was once was, except for his growing attachment to the rebel leader. A guy. Yet another first for Nik. It’s a mistake he pays for dearly when he learns The Council’s true intentions for the city. It’s never ‘just harmless fun’ when you’re a government dog, not when The Council holds the leash. Nik knows there are some lines you can never come back from crossing, and he’s forced to choose whose rules to play by. He races toward the invisible divide, aware he’ll be called traitor by both his nation and by his friends. Aware that even the right choice can be deadly to make. 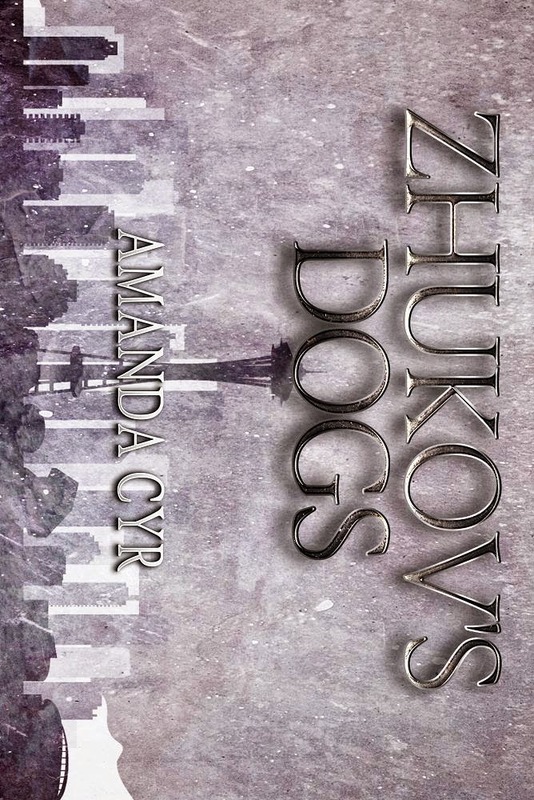 Don't forget, you can add Zhukov's Dogs by Amanda Cyr to your Goodreads shelves. 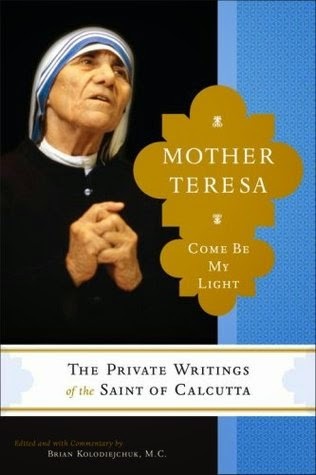 Come Be My Light: The Private Writings of the Saint of Calcutta by Mother Teresa, edited by Brian Kolodiejchuk, September 4, 2007. 404 pages. Published by DoubleDay Religion. Source: Blogging for Books. "Put your hand in His [Jesus'] hand, and walk alone with Him..."
The Clockwork Sky 1 by Madeleine Rosca, September 14, 2012. 160 pages. Published by Tor Books. Source: publisher. Children's Review: Miss Klute is a Hoot! 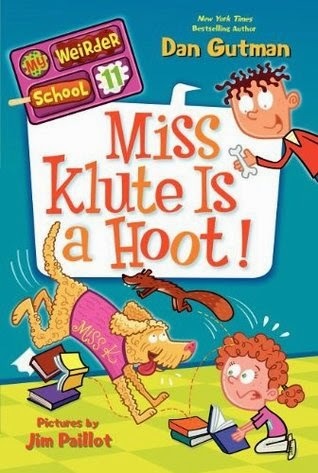 Miss Klute is a Hoot (My Weirder School, 11) by Dan Gutman, illustrated by Jim Paillot, June 24, 2014. 112 pages. Published by HarperCollins. Source: publisher. The reading scores at Ella Mentry School are way down, so Mr. Macky has decided to hire a special new helper to whip the kids into shape—Miss Klute, a Labradoodle! A.J. and his friends don’t understand why they have to read to a therapy dog every day at story time, until the first time they do it. Suddenly everyone wants a turn reading to Miss Klute! But when the kids decide that Miss Klute is spending too much time inside listening to stories—that their therapy dog herself needs therapy—they let her outside, and all chaos breaks loose! Perfect for reluctant readers and word lovers alike, Dan Gutman’s hugely popular My Weird School series has something for everyone. Don’t miss the hilarious adventures of A.J. and the gang. My name is A.J. and I hate reading out loud. 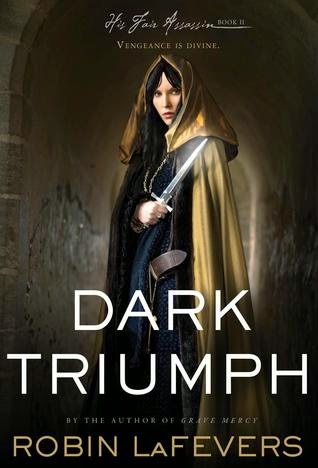 Dark Triumph (His Fair Assassin, 2) by Robin LaFevers, April 2, 2013. Published by Houghton Mifflin Books for Children. Why: So, Robin Lafever's His Fair Assassin series is yet another one that I am woefully behind the times on starting. So far behind that I have only just now, like this past weekend, have read Grave Mercy. After finishing book one am in desperate need of book two. I just need to know the rest of the story and what will become of the characters. Lug, Dawn of the Ice Age by David Zeltser, September 9, 2014. 192 pages. Published by EdgmontUSA. Source: publisher. Lug is a caveboy who would rather paint than club other caveboys. The clan even mocks him, calling him "Little Slug." Like all the other caveboys, Lug must enter the contest to become the clan's next Big Man and attempt to catch the Biggest Beast--even though he would much rather spend his days painting in his secret art cave. When Lug is banished for failing to catch a jungle llama, he thinks he is alone in the world but finds others who believe in him: his clanmate Stony and a new friend, Echo, a girl from a rival clan who can talk to animals and just may be prehistory's first vegetarian/animal rights activist. Together they face even bigger challenges--Lug discovers the Ice Age is coming and he has to bring the warring clans together to save them not only from the freeze but also from a particularly unpleasant migrating pride of saber-toothed tigers. It's no help that the elders are cavemen who can't seem to get the concept of climate change through their thick skulls. 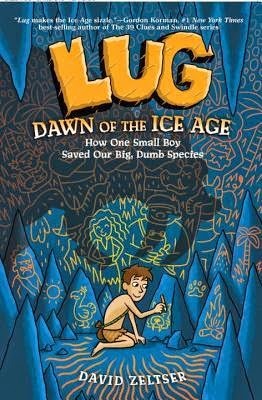 With both funny, anachronistic humor, charming characters, and strong themes, Lug, Dawn of the Ice Age is sure to be a hit with many readers. "Owww," I moaned, gingerly feeling the plum-sized bump on my forehead. Ah, the books that pop up in my reading pile, like this one, Lug, Dawn of the Ice Age. That's right, I have found myself reading yet another book featuring cavemen. While this is not my first book featuring cavemen (really odd to be saying that), this was definitely an interesting read. When I first started reading Lug, Dawn of the Ice Age I was doubtful on whether or not it was going to work for me as it took me some time to get into the character's story line. But, the further the story progressed and the more I came to understand the inner-workings of the two clans and why they were against Lug (and the other two oddballs) the more I came to enjoy the story. I found it interesting to see how the author would turn these oddballs into the potential heroes of the story. So, while Lug, Stony and Echo were not your typical caveboys and cavegirl, I enjoyed how they used their eccentricities to their advantage to work towards saving their people. Why, because when the book first starts you are left wondering how on earth could these three one day save everyone from the oncoming ice age. Well, you'll just have to read for yourself how the did it. But it was interesting to see them overcome what others saw as weakness to create a sense of teamwork between both clans. Other than the odd cast of characters, I enjoyed the names each of the characters were given as they suited them so perfectly. It's nice when the names of characters fit them and their role within a book so well. Though it often doesn't happen which is why I felt the need to commit upon it in my review. As for the writing, I enjoyed David Zeltser's humorous way of telling the story of Lug. He just had this ability to tell the story in a way that pulled you into the story and lives of the characters. I liked how he took a different approach to the characters and how they were not your typical characters that one would expect in a book about cavemen. His writing just really worked for not only the story line and characters, but the overall book. Final Verdict: Lug, Dawn of the Ice Age- Quirky and fun make this one interesting read. DAVID ZELTSER emigrated from the Soviet Union as a child, graduated from Harvard, and has worked with all kinds of wild animals, including rhinos, owls, sharks, and ad executives. He is the author of Lug, Dawn of the Ice Age, the first book in a satirical series about the world’s inaction on climate change, for ages 8-12. He also has a forthcoming picture book, Ninja Baby, with Caldecott Honor illustrator Diane Goode (Chronicle Books). David lives with his wife and daughter in Santa Cruz, California. He performs improv comedy and loves meeting readers of all ages. His second book about Lug is scheduled to publish in Fall 2015. 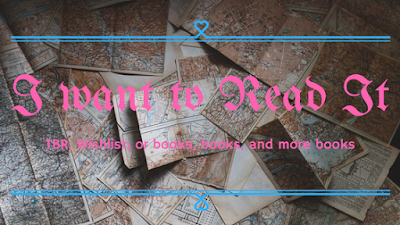 Be sure to follow the rest of tour by visiting My Brain on Books (today) and Live to Read (tomorrow) for guest posts with David Zeltser. You can keep up with the entire tour by checking out the schedule HERE.